As we pass the mid-point of the 2017 session, we encourage Nevada’s legislators to find the common ground that will strengthen our families, improve our communities, and benefit all residents of this state. Partisan politics and possible gridlock are permeating the halls of the Nevada Legislative Building during this 2017 session. In Carson City, some lawmakers appear to be taking positions with an eye toward the 2018 elections. Others are proposing laws that have less to do with local politics and more to do with holding the line against policies emanating from the Beltway. Another handful appear intent on doing nothing more than repealing laws passed in 2015. Whatever the reason, bipartisanship has been the victim this year. By the end of the ninth week, 491 Assembly bills and 518 Senate bills had been introduced. Of those 1,009 bills, 338 were committee introductions that essentially are controlled by the majority party in each chamber, and 671 were introductions by individual legislators. Bills introduced by legislators may be co-sponsored by other lawmakers. An indicator of bipartisanship is the number of bills that attract co-sponsors from the other party. This session is a bit different than previous sessions because state Sen. Patricia Farley, formerly a Republican, has declared herself as an independent (formally, as nonpartisan), but frequently caucuses with the Democrats. Regardless, bipartisanship is on the decline in this session. Among the 671 legislator bills introduced by lawmakers, only 111 (16.5 percent) are bipartisan in that they included one or more co-sponsors from the opposite party. If Sen. Farley is included with the Democrats, there were only 77 (11.5 percent) bills that were bipartisan. Among the 321 Senate bills, 82 (25.5 percent) feature bipartisan support. However, with Sen. Farley included among the Democrats, only 48 (15 percent) are bipartisan. Among the 350 Assembly bills, only 29 (8.3 percent) featured bipartisan support. These numbers reflect some disturbing trends. First bipartisanship has significantly declined. In 2015, at the end of the ninth week, 21.4 percent of bills featured bipartisan support. This session, only 16.5 percent of bills include one or more co-sponsors from the opposite party (and 11.5 percent if Sen. Farley is included with the Democrats). In the Senate, 15 percent feature bipartisan support, compared to 17.3 percent in 2015 and 24.2 percent in 2013. In the other house, only 8.3 percent of Assembly bills feature bipartisan support, compared to 25.7 percent in 2015 and 32.2 percent in 2013. A second disturbing trend is that in both 2013 and 2015, the Assembly tended to feature more bipartisan legislation than the Senate. However, not only has bipartisan legislation fallen dramatically over the past three legislative sessions, but there is less bipartisanship in the Assembly than in the Senate. In this session, the mantle of bipartisanship is being carried largely by freshman Republican legislators. Both Assemblywoman Jill Tolles, R-Reno, and Assemblyman Keith Pickard, R-Carson City, have offered the highest number of bipartisan bills (four each) in the Assembly. More than half of their bills feature bipartisan sponsorship. Assemblywoman Tolles, who replaced Assemblyman Pat Hickey, is ably carrying on his legacy and stellar reputation, as did Gov. Kenny Guinn, for reaching across party aisles to make good policy. 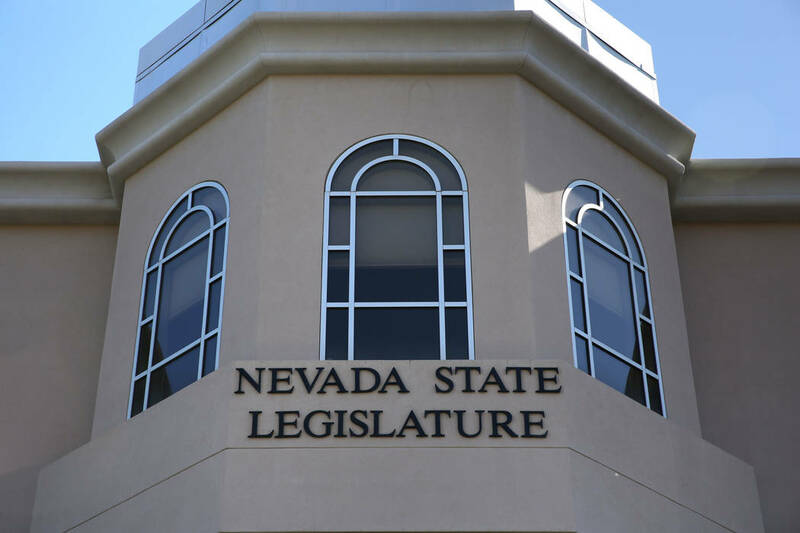 In the Senate, freshman Heidi Gansert, R-Reno,, who served in the Assembly from 2006 to 2010, offered eight bipartisan pieces of legislation, as did veteran legislator David Parks, D-Las Vegas. More than 70 percent of Sen. Gansert’s proposed bills featured bipartisan support. Since the deadlines have passed for the introduction of individual legislator and committee bills, these numbers and percentages are unlikely to change significantly for the remainder of the session, except for a limited number of emergency bills that may be requested by legislative leadership. One of the results of gridlock and partisanship this session appears to be a slower pace of output. To date, Gov. Sandoval has signed nine pieces of legislation into law, compared to 24 in 2015. While it is important to do the careful work to ensure that good policies are being crafted, we are mindful that extended partisan gridlock in Washington has eroded public confidence in our national legislative body. Nancy E. Brune, Ph.D., is executive director of the Guinn Center for Policy Priorities, a bipartisan policy research center. Prior to retiring, Brian Davie worked at the Legislative Counsel Bureau for 28 years.